A place like the Center that can unite us and provide for all is quite an achievement. Great News! Our $10K Membership Matching Grant Challenge has been extended to June 30! There’s still time to help us reach our goal! Fifty years ago, a small group of volunteers made a commitment to change the world. 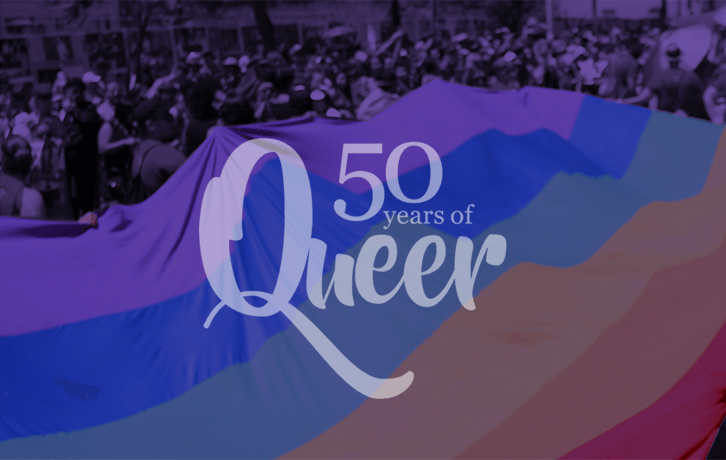 What began as a hope-filled vision has evolved into the largest LGBT organization in the world. With help from supporters like you, today’s Center continues to change the world by helping heal, uplift, and champion hundreds of thousands LGBT lives each year. Whether it’s fighting for equality, providing basic needs like housing and food, or creating access to vital health care, the need for your Center continues to grow. We need your help to keep moving forward for the next 50 years. With so much at stake this year, an anonymous donor has agreed to match every new and renewed membership up to $10,000 by March 31 June 30. Help the world keep changing for the better and renew your Center Membership today! Mrs.	Ms.	Mr.	Dr.	Mx. Your credit card will be billed for the donation amount every month. I’d like to make this donation with my spouse. I’d like to make this a recurring monthly donation. I’d like to make this donation as a gift on someone’s behalf, or as a tribute. OPTIONAL MONTHLY DONATION BENEFITS Yes I would like to receive these benefits. Yearly tax statement summarizing your annual giving. OPTIONAL CIRCLE BENEFITS Yes I would like to receive these benefits.